After marriage, I had to leave my Job and left to London with my husband and my 3 months old baby. Managing a baby and the house in a new country with no friends and family and absolutely no domestic help was the toughest task I had faced. It was the most difficult year as the new country brings its own set of challenges when you are on your own. 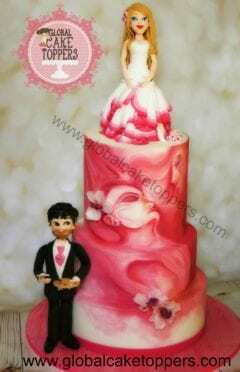 However I managed to learn more about miniature craft using polymer clay, sugarcraft and few other ideas. This was going to be turning point for me as it was going to turn out something bigger and better in future. 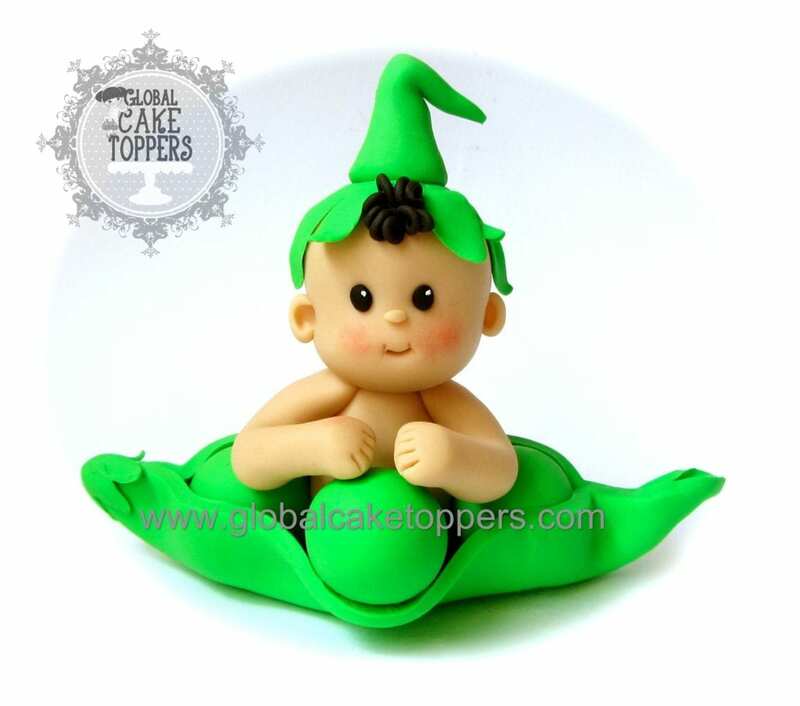 I started making miniature human figurines using polymer clay for my friends and family. 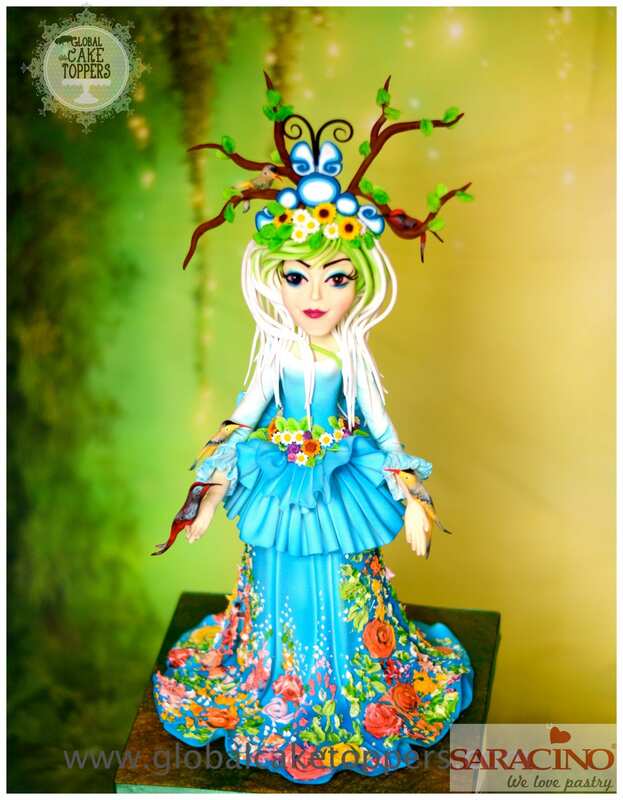 For a few years I kept working on different techniques for creating miniature figurines using the knowledge I had in painting, sculpting and even Fashion Designing. 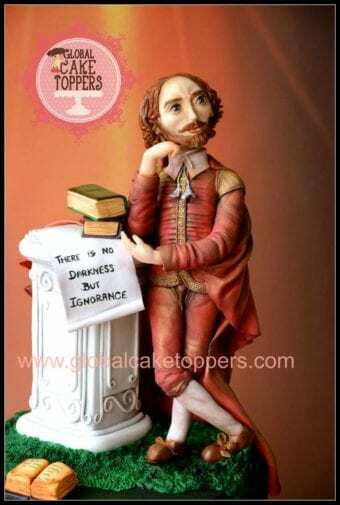 I moved to Ireland in 2009 and kept working on making miniatures using polymer clay. 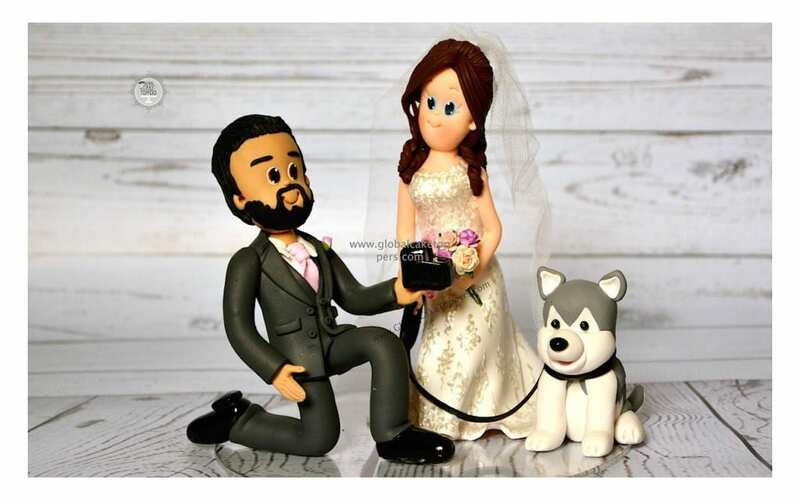 I made miniatures of humans, animals, monuments and differnt other objects to finetune my skills. 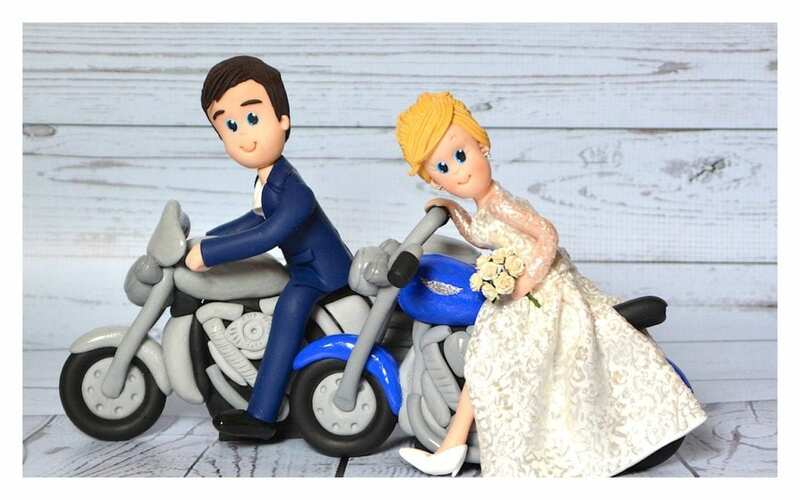 Having spent months in learning and practicing clay modelling I decided to open my own business in Ireland to sell handmade figurines for weddings and other ocassions. 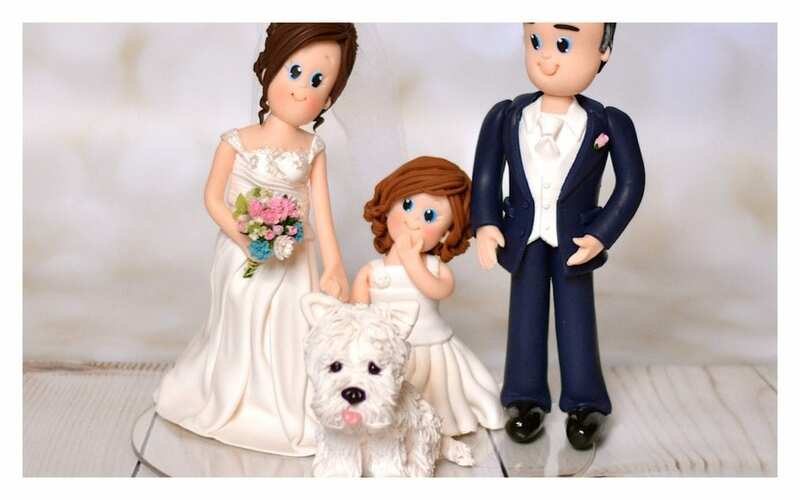 It turned out to be a good decision as in less than one year I started getting orders not only from Ireland but UK, France, Australia, U.S., Dubai and several other countries. 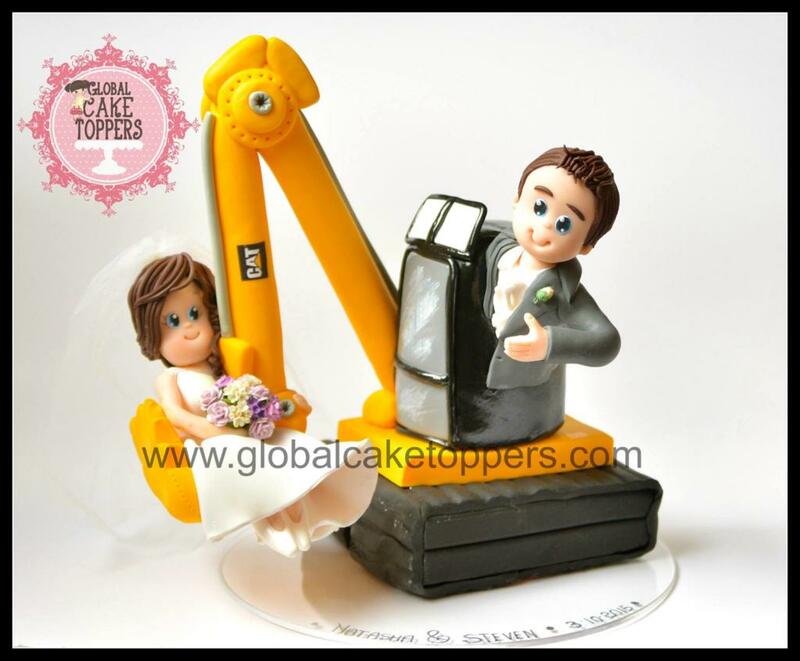 Global Cake Toppers is known for its premium quality cake toppers and has delivered more than one thousand handmade personalised cake toppers all over the world. 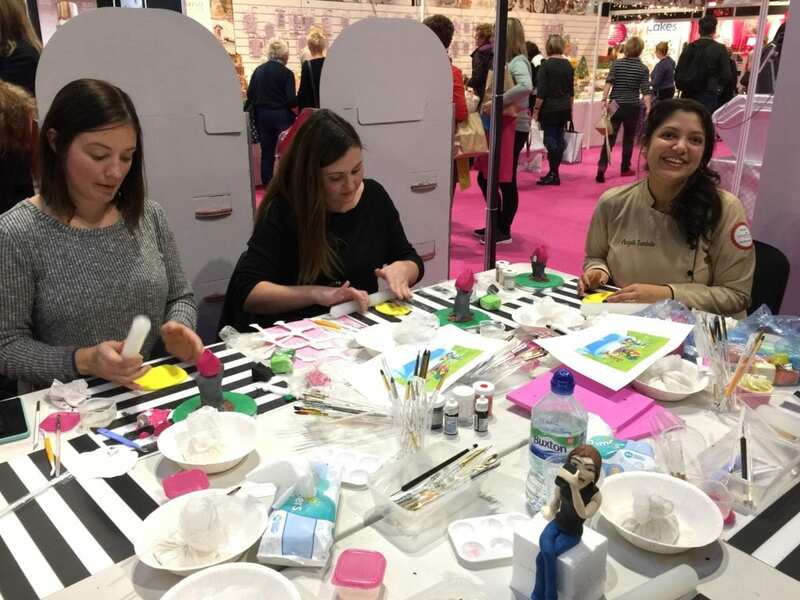 Becoming enterprenur and to make uniquely beautiful creations to bring smile and joy to thousands of people was a dream come true but there was still something missing. The commercial aspect of my work was secondary to me as I wanted to explore and challenge my skills more. 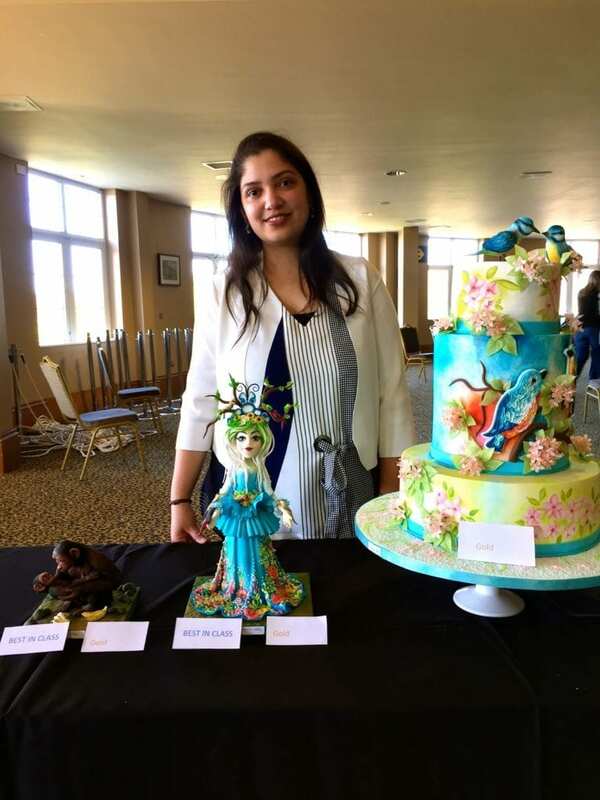 I came to know about Irish Sugarcraft show which is a national competition for cake decorating art where artist from all over Ireland compete. 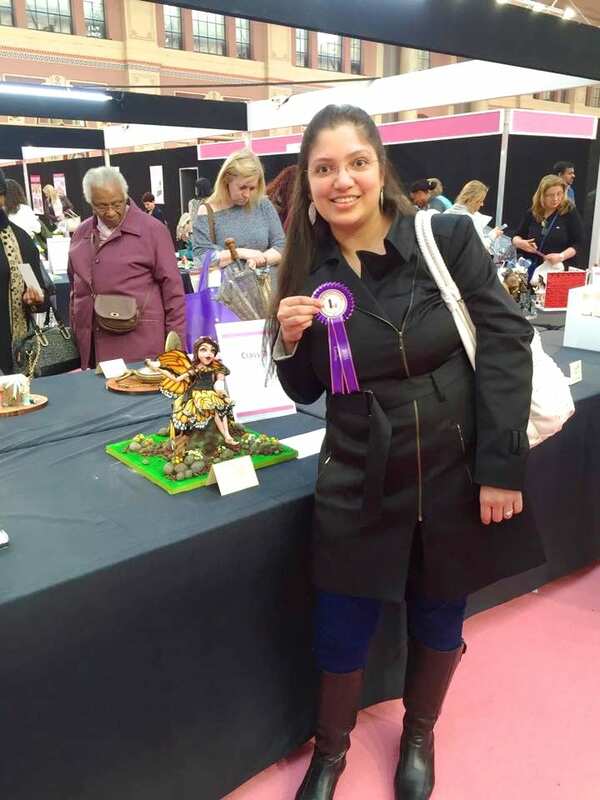 In 2016 I participated in five different categories in the show and won a prize in all of them. 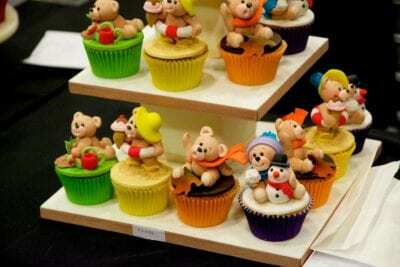 In doing so one of my entries was unanimously adjudged as the Best in Show among 300 entries. 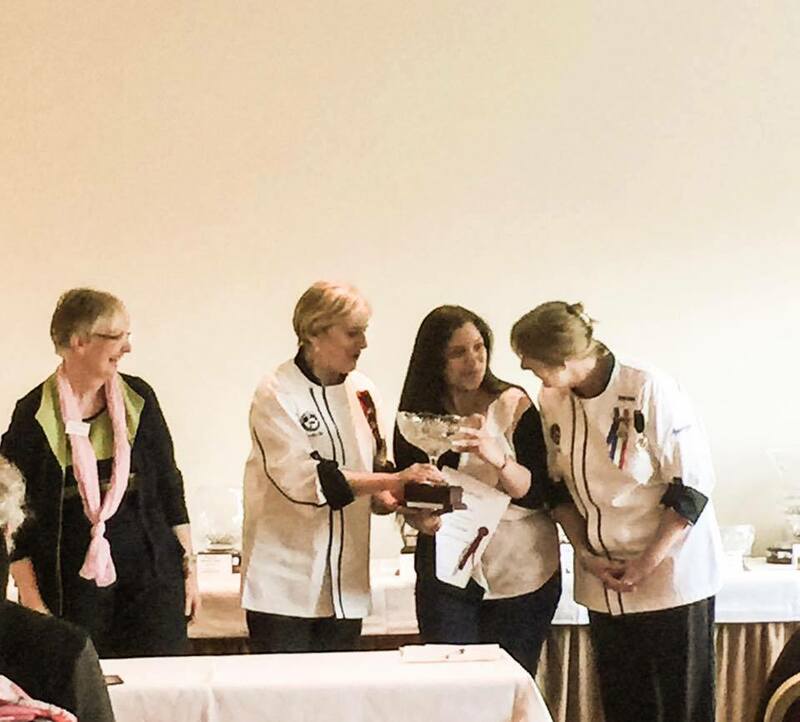 This was my first international win and that too in my first participation of the competition. 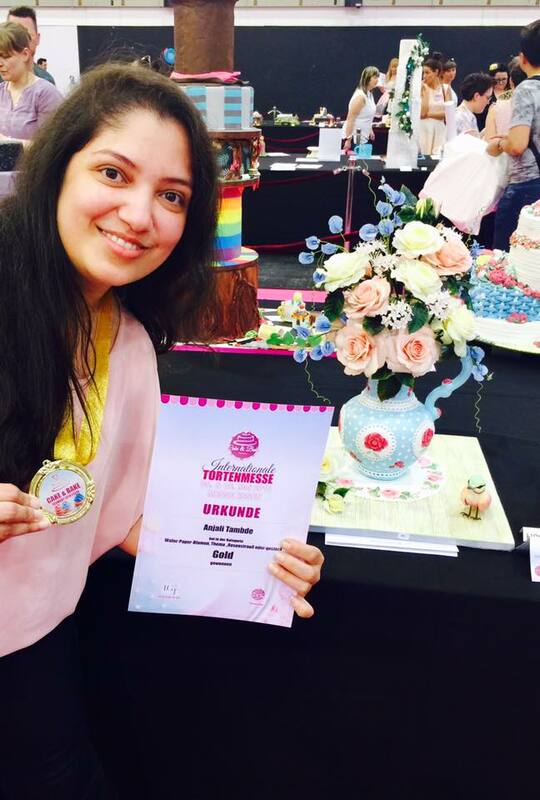 After six months I participated in the World's biggest cake competition show "Cake International" in Birmingham. 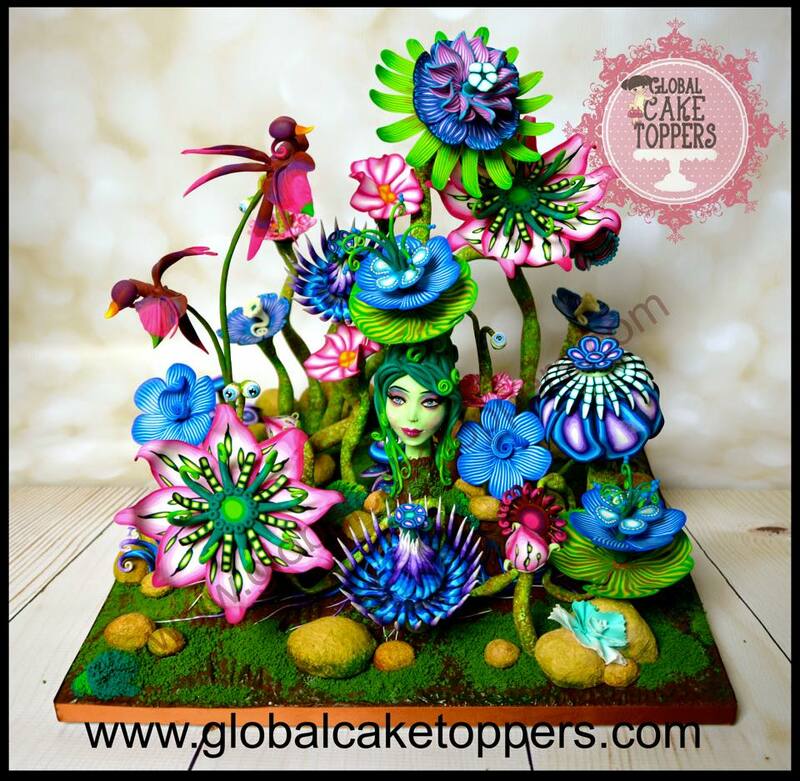 My entry "Fantasy Flowers" won the competition beating more than 1400 entries among 30 categories from all over the world. 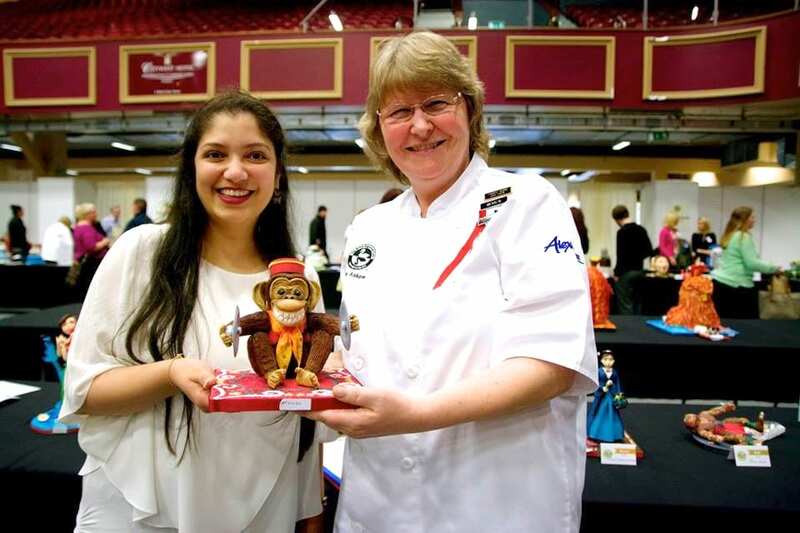 It was an ecstatic feeling as at world stage this was my first competition and I had won the World's biggest competition. 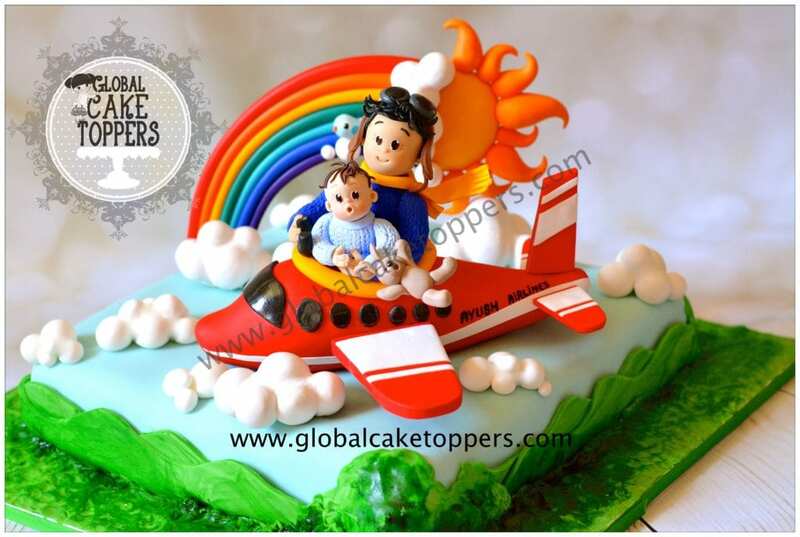 I became the first Indian origin to win the competition and my name was included in the hall of fame in Cake International website. 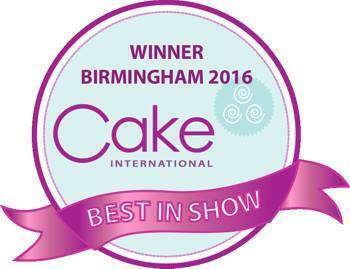 Winner of the Cake International Show, Birmingham in 2016. 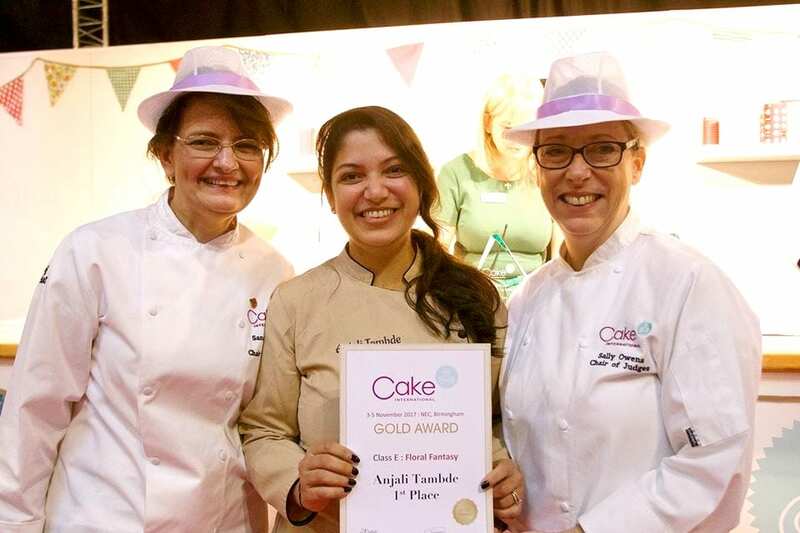 1st Indian origin woman to win Cake International. 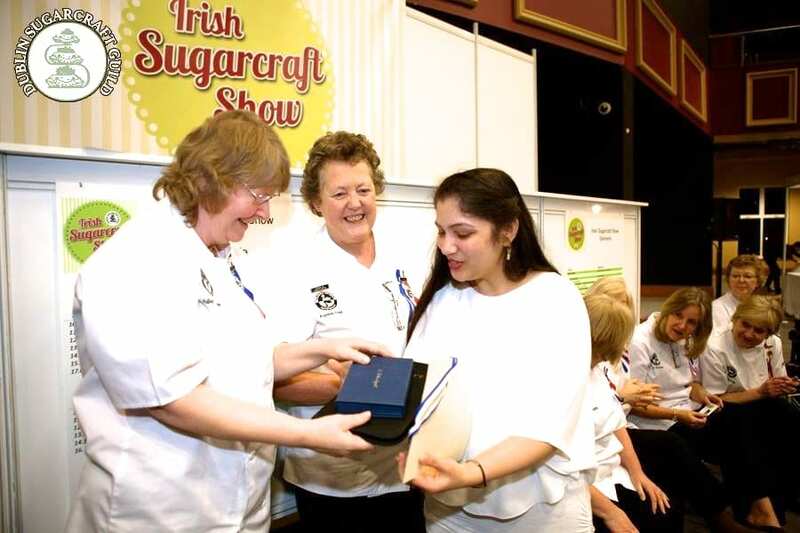 Winner of Irish Sugarcraft Show, Dublin in 2016. 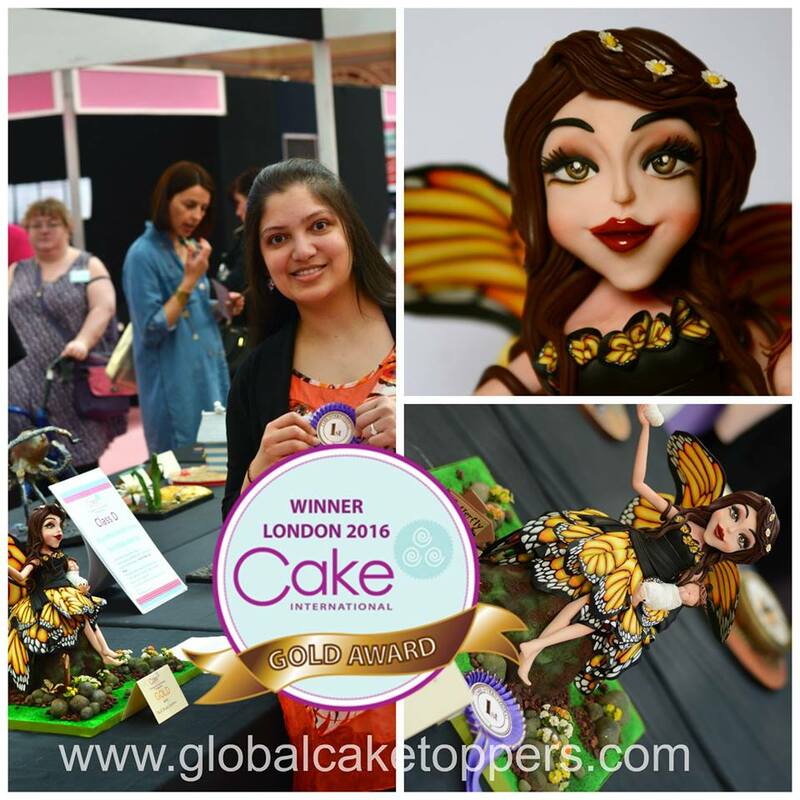 Winner of 1st Gold and Best in Class at Cake International, London in 2016. 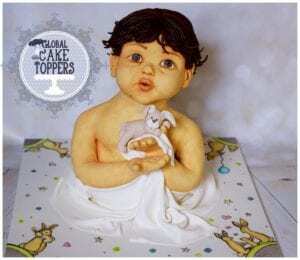 Winner of 1st Gold and Best in Class award at Cake International, Birmingham in 2017. 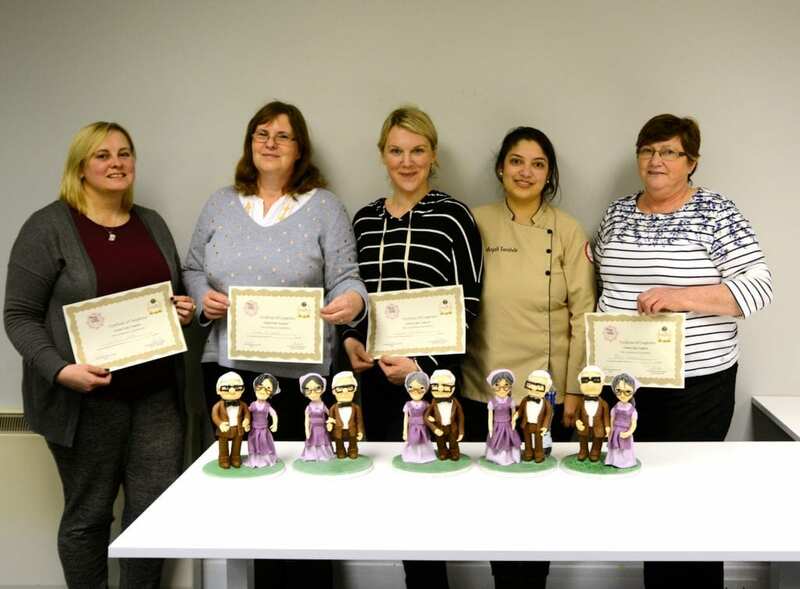 Winner of 1st Gold and Best in Class awards at Irish Sugarcraft Show in 2018. 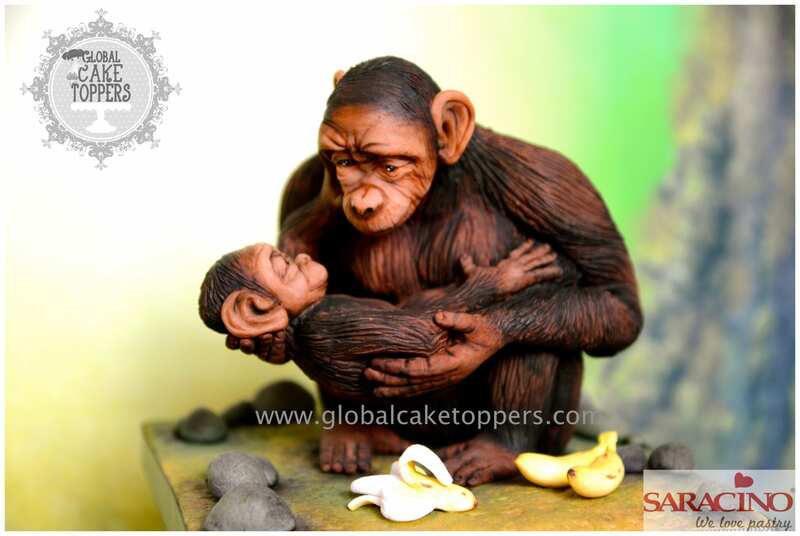 Winner of Gold award in Irish Sugarcraft Show, Dublin in 2018. 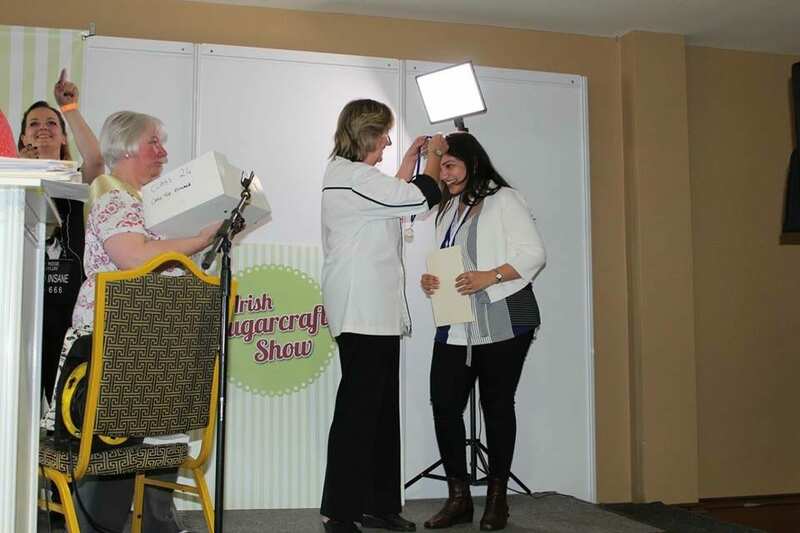 Winner of Best in Class award in advanced master class category in Cork Sugarcraft Show in 2017. 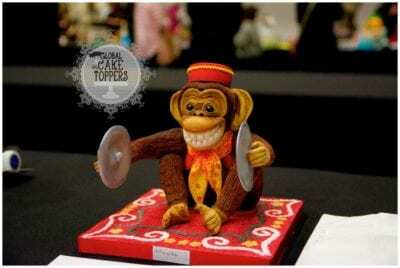 Winner of Gold award in Cake and Bake Show, Germany in 2018. 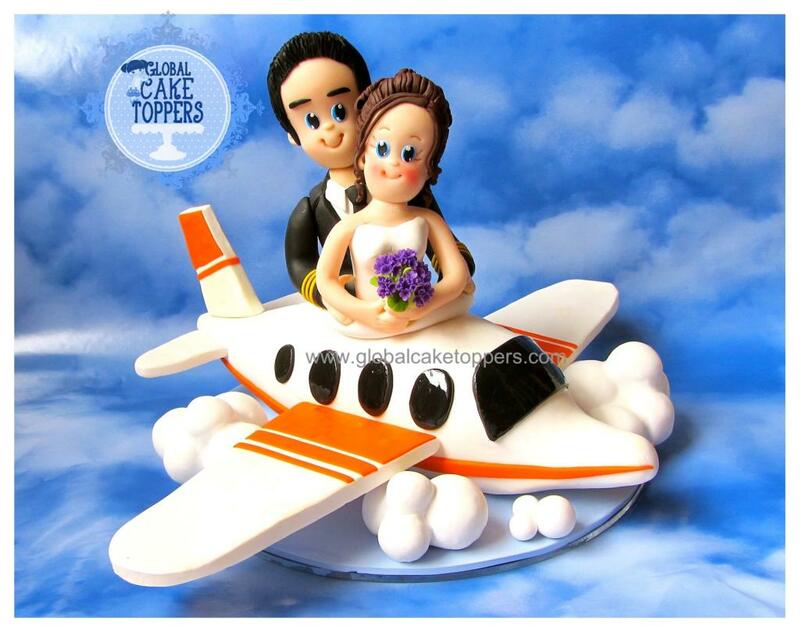 Cake International win featured in Ireland’s national news website. 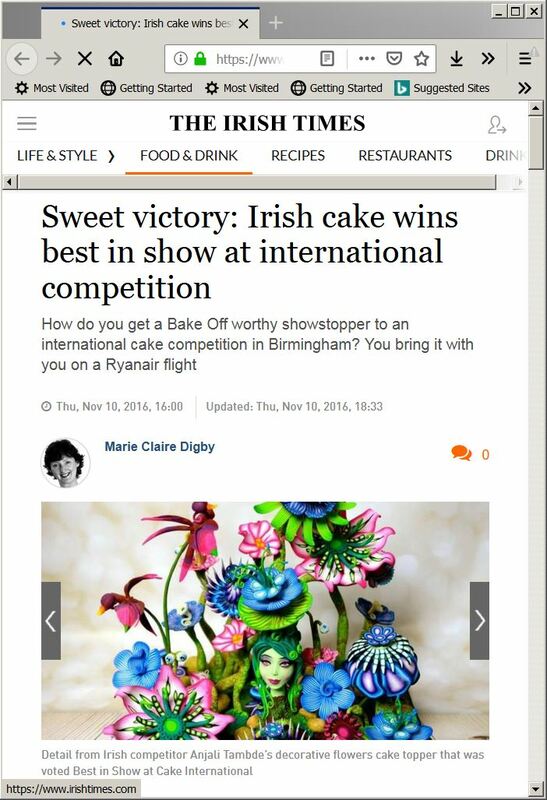 See below or Click here to read the article..
Winning entry at Cake International feature on Ireland’s National Television. 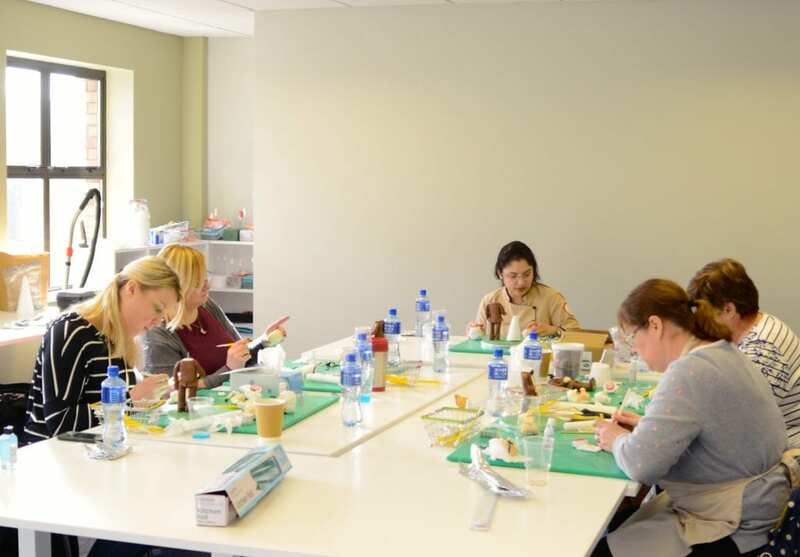 A recent interview with immigrants.ie website featuring my success journey. 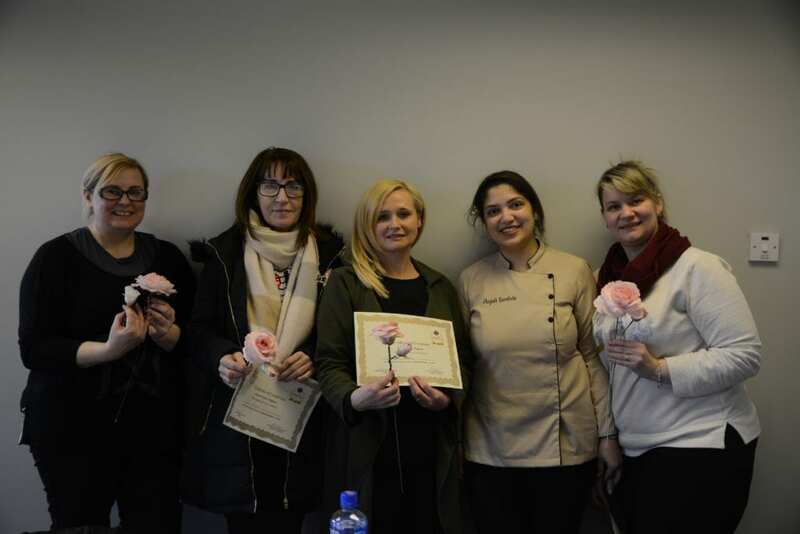 The awards are important to me however what drives me the most is the opportunity to participate in a competition and get inspired to do better than before. Proud to own these winning badges as they are the reflection of my own self in the journey to excellence. 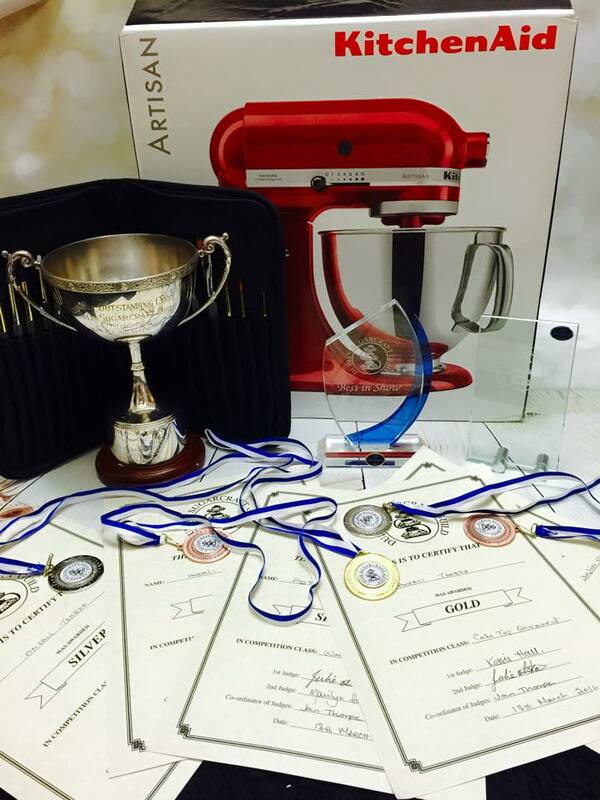 Overall I have won 13 awards in different competitions in Ireland, United Kingdom and Germany. 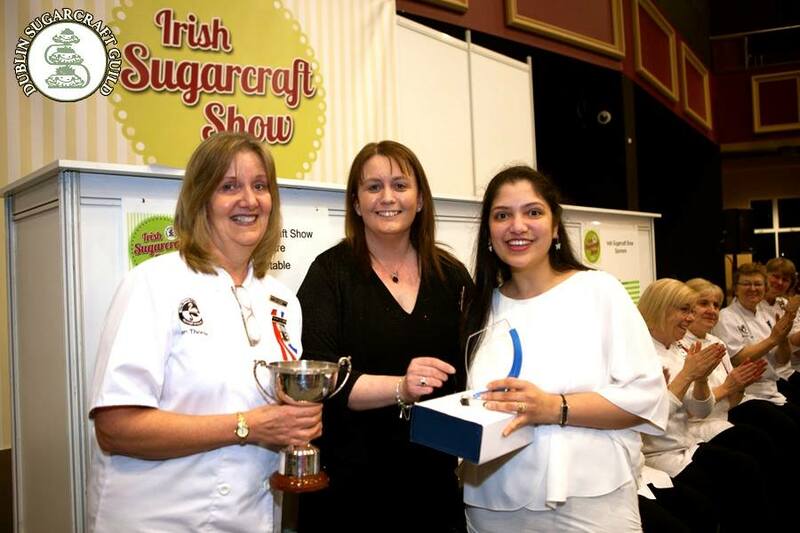 My other award winning creations at Irish Sugarcraft Show, Dublin in 2016. Meeting new people and sharing my knowledge is my passion. 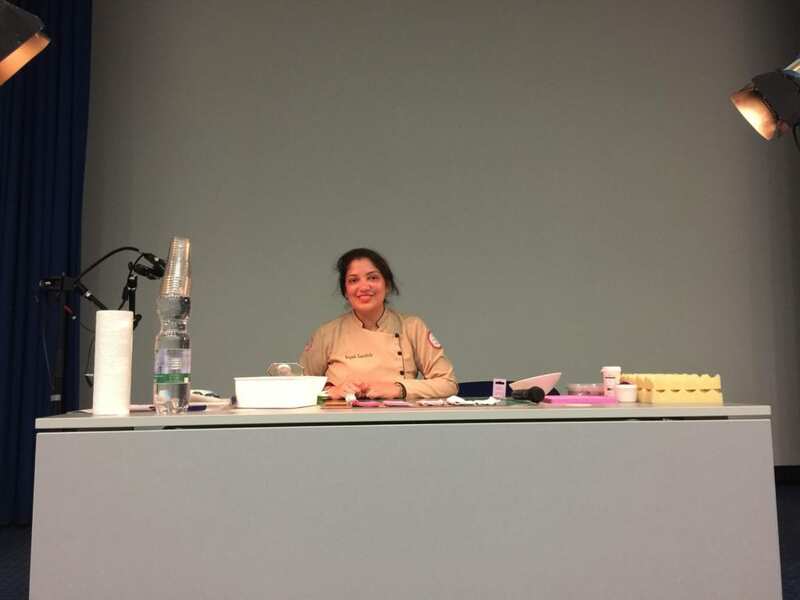 I love to travel across the globe sharing my knowledge and skills and helping the new rising bakers and guiding them in various forms. 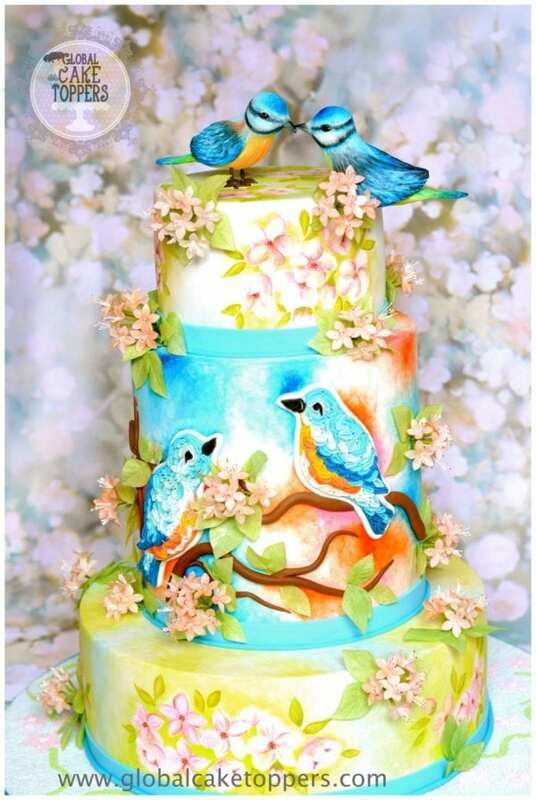 I also create frequent online free tutorials and writing in various cake decorating magazines has been a frequent affair to encourage fellow bakers and cake decorators. 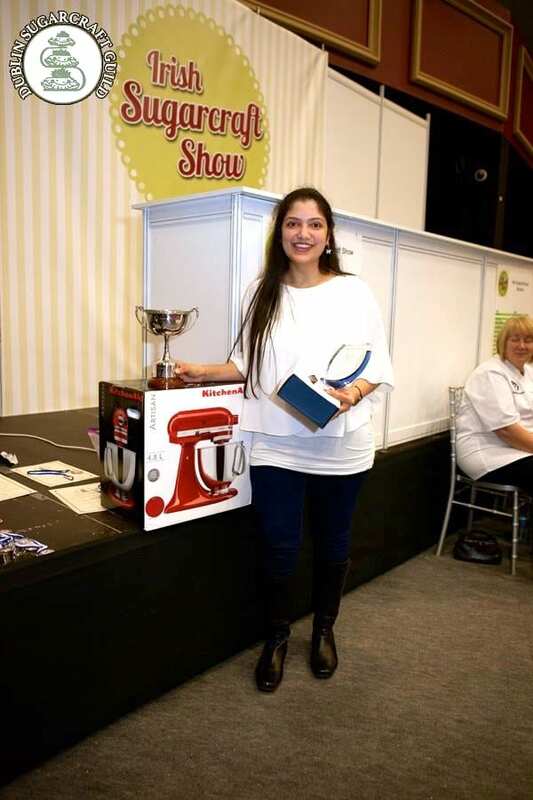 I have writing blogs and demonstrating at various shows, talking and discussing how they can cope with various problems while staring their careers in the baking industry, pricing their products and increasing sales were the key points that I always discussed with them during my visit. Feel really satisfied when I use my knowledge to build confidence in people who are beginning their life in this field. This is now my renewed passion to keep sharing knowledge across the globe and travel as far as possible until my health allows me to do. 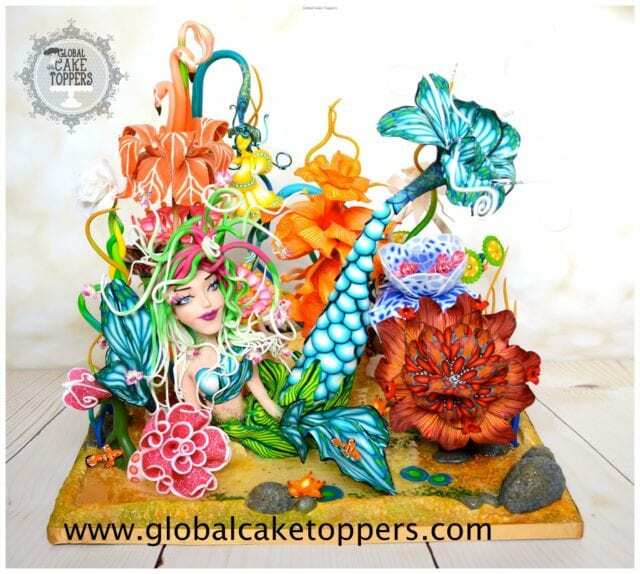 Participating in these various competitions encouraged me to trade unknown waters and meet different but like minded creative people across the globe. Winning these prestigious awards created an international identity for me and for my craft. The craft that I learnt from my mother at childhood and from the teachers back in India now made me an international artist. The hard work without fear of losing is still is the best old method for success and as an Indian it is a value that is deeply instilled in us from the early life. 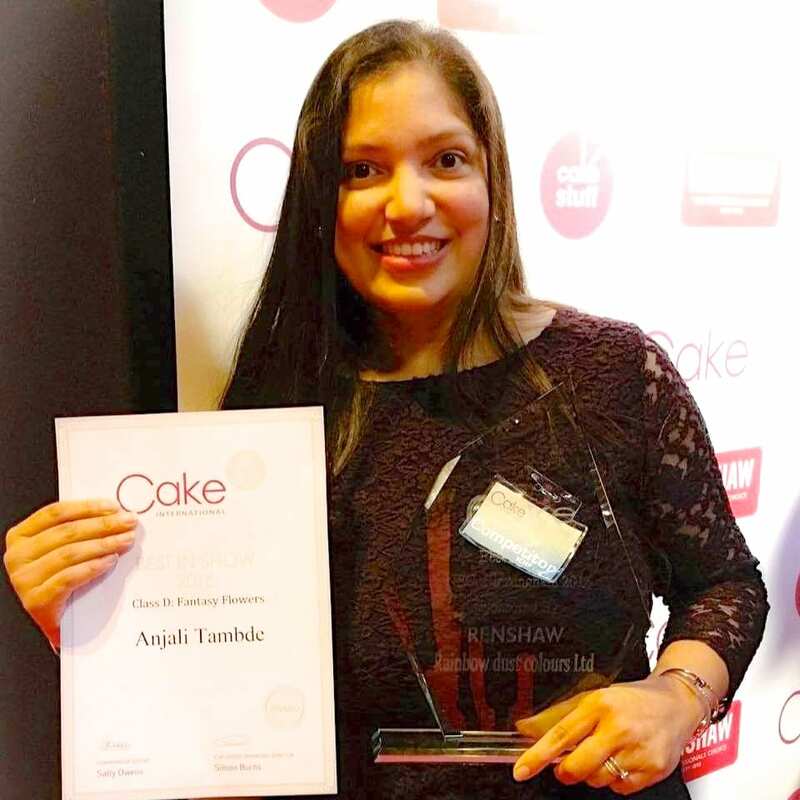 Life has come full circle as I am now an official Judge at Cake International, UK and guide the upcoming artists to achieve the perfection they are striving for. 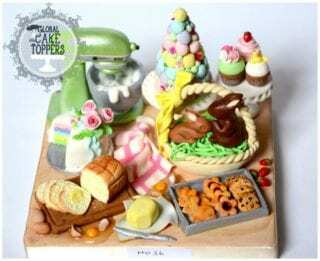 I will miss participating in these competitions as now I am a judge and not a competitor. But I am connected to this beautiful world of creativity where all are equal regardless of gender, religion, nationality etc. and only the creativity and perfection wins.